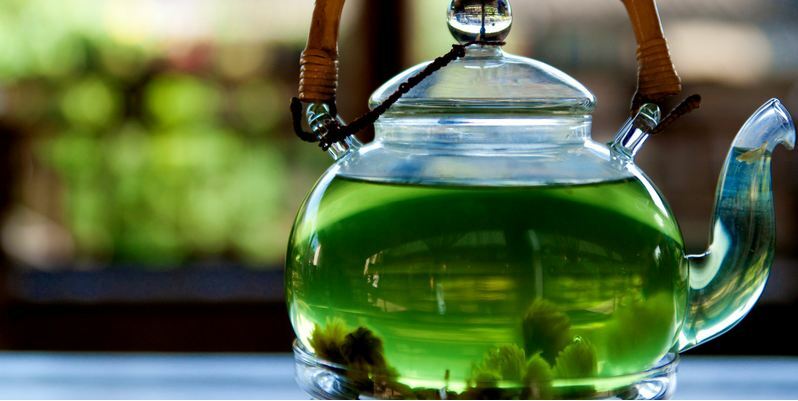 Green tea helps reduce the risk of cancer. However if you want to be away from this fetal disease, take a cup of Green tea daily. The antioxidant in green tea is 100 times more effective than vitamin C and 25 times better than vitamin E. This helps protect cells from getting damaged that are associated or can cause a reason of cancer. Green tea helps prevent heart disease and stroke by lowering the level of cholesterol. Even after a heart attack, it prevents cell death and accelerates the regeneration process. This is chief point among the benefits of green tea. Green tea composed of antioxidants known as Polyphenols that attack on free radicals, which means it helps combat the effects of aging and promotes longevity. The most imperative among the benefits of green tea. Green tea helps burn fat as well as naturally stimulates metabolism. This infusion can burn up to 70 calories per day which translates to 3.17 kg per year; however, try not to take more than three cups a day, since high quantity of caffeine can cause gastrointestinal problems. So there can be disadvantages rather than benefits of green tea. Green tea helps to improve the appearance of your skin, the antioxidant in green tea protects the skin from the damaging effects of free radicals that are the cause of wrinkles and premature aging signs on the skin. It also helps in fighting against skin cancer. One of the key elements of benefits of green tea is its composition as it contains high content of fluoride which keeps bones strong. Drinking green tea every day is beneficial in preserving bone density. Green tea improves metabolism in relation to lipids and glucose, also prevents sudden increases in the level of blood sugar, so balancing the general metabolism. Green tea strengthens memory. Green tea helps slow the process of reduced acetylcholine in the brain, which leads to Alzheimer’s disease. So it’s very effective if take once or twice a day. Drinking green tea helps to reduce blood pressure by suppress Angiotensin (hormone), which does raise this anomaly. L-theanine, which is a type of amino acid, found in green tea, helps reduce stress and anxiety. So, if you are feeling stress take a cup of Green tea, hopefully it will help.